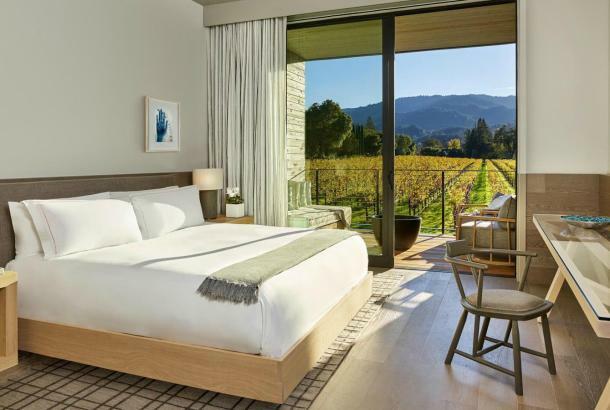 St. Supéry Estate Vineyards & Winery is a 100% Estate Grown, Napa Valley sustainably farmed winery located in the renowned Rutherford growing region in the heart of Napa Valley. In addition to being recognized for exceptional Sauvignon Blanc, Cabernet Sauvignon and estate red and white blends, St. Supéry Estate Vineyards and Winery champions wine education and exploration, offering a series of interactive wine experiences designed for all levels of wine enthusiasts, from the casual drinker to the lifelong collector. In addition to a demonstration vineyard and culinary gardens, the winery also has an art gallery which features changing exhibitions throughout the year. Committed to producing the highest quality hand-crafted estate wines, St. Supéry Estate Winery and Vineyards is proud to be certified Napa Green. Napa Green is the wine industry's most comprehensive "best practices" program for land-use and wine production. 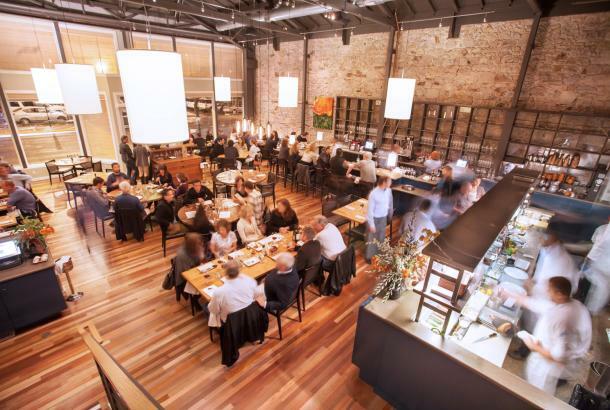 Guests are welcome by appointment daily, please call our reservations concierge at 707.302.3448. 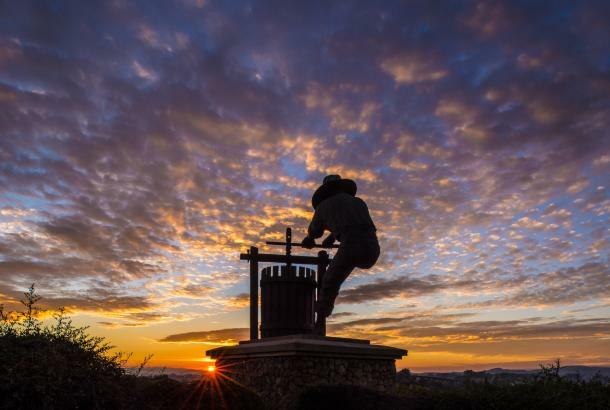 St. Supéry Estate Vineyards and Winery has long championed wine education for visitors and locals in Napa Valley. We are excited to share a series of Interactive Wine Experiences for all levels of wine enthusiasts, from the casual wine drinker to the lifelong wine collector. Each experience is designed to be a fun and interactive tasting experience that reveals more about each guest's wine preferences and helps everyone draw more pleasure from their wine glass. To ensure an intimate experience for all of our guests, we kindly request that all visitors be at least 21 years of age. Should your party include infants and/or guests under 21, please call ahead to discuss private tasting options. At St. Supéry, pets are allowed on the winery grounds and in the downstairs area of our tasting room only. If you are traveling with pets and would like to book an interactive experience, please call ahead to discuss options. Guests and their well-behaved dogs are welcome from 10am to 5pm, except on a few major holidays. Reservations are preferred. Taste through the terroir of our 100% estate grown, certified Napa Green vineyards in this featured flight of four wines. Explore St. Supéry’s diverse portfolio of estate grown Cabernet Sauvignon wines. An experienced Wine Educator will guide you through a tasting that includes our Napa Valley Estate Élu, Rutherford Estate Vineyard Cabernet Sauvignon, Dollarhide Elevation, and our Dollarhide Estate Vineyard Cabernet Sauvignon, a bold, rugged wine from some of our oldest grapevines, now more than 30 years old. Compare and contrast two of St. Supéry’s Bordeaux varietal white wines, Sauvignon Blanc and Sémillon. Hone in on the intricate nuances that define these two cherished varietals by tasting them separately and as a blend in St. Supéry’s Napa Valley Estate Virtú, comprised entirely of Sauvignon Blanc and Sémillon. Guests will enjoy perfecting their custom blend and tailoring it to satisfy their personal taste. A take-home 750ml bottle of your very own My Virtú, precisely customized to suit your palate, is included with each tasting. Explore wine aromas suggestive of fruit character, barrel aging and terroir while tasting four St. Supéry Estate wines in Aromatherapy with a Corkscrew. Exercise your sense of smell through a series of aroma identifications designed for you to discover how your personal sensory memory impacts how you recognize aromas. 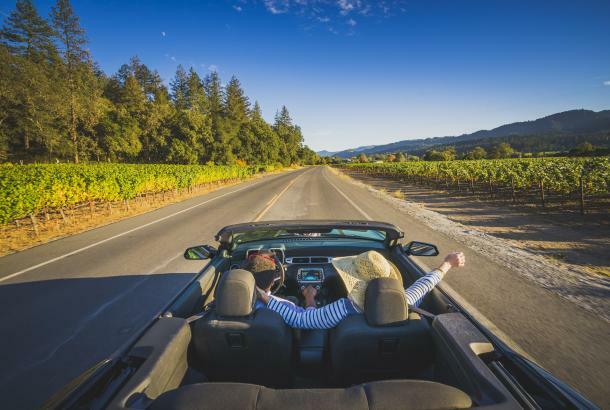 This is a fantastic way to begin your visit to Napa Valley. Take your wine knowledge from enthusiast to expert with this exciting group exploration of the five classic red Bordeaux varietals. Taste Cabernet Sauvignon, Merlot, Cabernet Franc, Malbec and Petit Verdot in a guided group tasting designed to engage each of your senses to heighten your tasting experience. Once you learn how to harness all five senses to aid in identifying the delicate differences in each varietal, enjoy a selection of cheeses that enhance the unique characteristics of each wine. 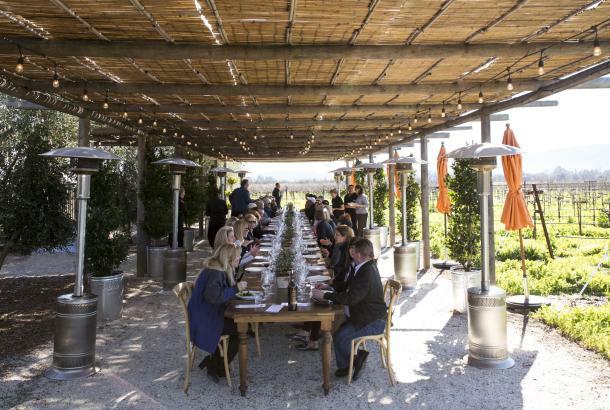 Enjoy a seated tasting of four Estate wines and four vegetarian small bites featuring farm-to-table produce from our Culinary Garden and Dollarhide Estate Ranch. Fresh herbs, juicy tomatoes, crisp heirloom apples, whatever the season holds… the options are bountiful and delicious! Leave the winery with a new appreciation for the endless opportunities to craft perfect vegetable and wine pairings. Explore the unique opportunity to master food and wine pairings that elevate your taste buds to a new level of appreciation. Our Estate Chef will guide you through a food and wine experience that will captivate your palate with ingredients from our Dollarhide Estate Ranch and Culinary Garden. Our Estate Chef will explain her wine pairing philosophy behind the mindfully crafted small bites that you will no doubt, want to recreate at home. In this one-of-a-kind experience developed with world-renowned viticulturist, Lucie Morton, you will learn how to identify individual grape varieties by the distinctive attributes of their leaves. 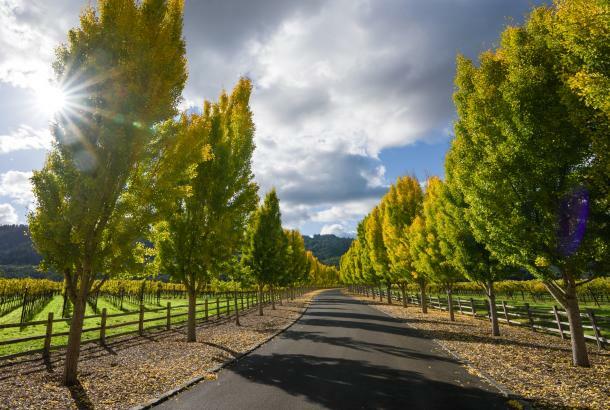 Once you have successfully matched the leaves with their variety, return to the winery for a sit down wine tasting showcasing the very varietals you identified in the vineyard in addition to Sauvignon Blanc from our Dollarhide Estate Vineyard. With three unique Wine Club memberships available, we have the perfect club for any wine lover. Receive shipments throughout the year, delivered right to your door. Enjoy a selection of St. Supéry wines throughout the year with four bottles of wine four times a year. Your shipment will include two red wines and two white wines from our Napa Valley estate. *Red wine (average $205 per shipment) or white wine (average $100 per shipment) only options available. Exact amount charged per shipment may vary by up to $35. Shipping and taxes are additional. For the red wine lover, delight in four bottles of St. Supéry red wines four times per year. Cabernet Sauvignon dominant, your shipment includes exclusive current releases and highly sought after library wines from our estate vineyards. *Exact amount charged per shipment may vary by up to $55. Shipping and taxes are additional. Want to drink like a winemaker and be environmentally conscious? Receive one case of wine in the spring and one case of wine in the fall. Each shipment will include a selection of St. Supéry red and white wines curated by Winemaker, Michael Scholz. *Winemaker’s Collection members may customize their shipment and exact amount charged per shipment may vary based on wine substitutions. Shipping and taxes are additional. Shipping is included on orders over $350.